Vacation rental townhouse. 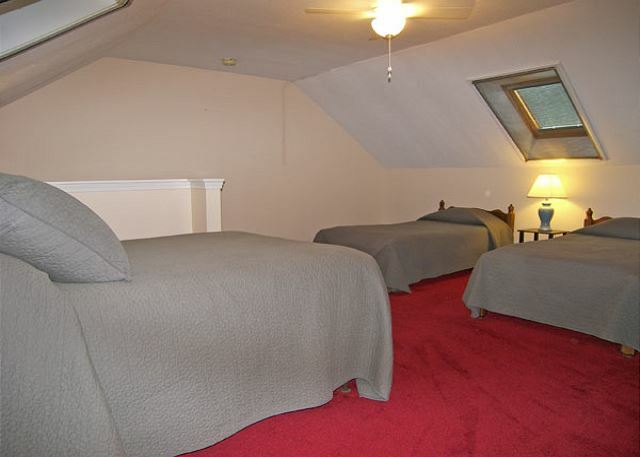 Sleeps 8, 3 bedrooms, 1.75 bathrooms. No pets allowed. 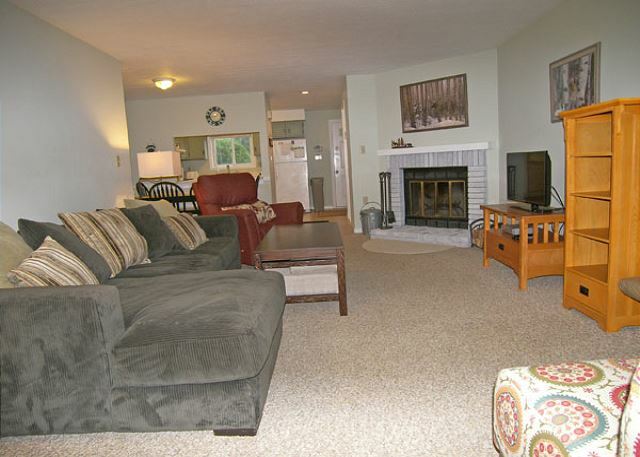 This three bedroom, 1.75 bath Alpine Village townhouse opens to the kitchen, dining and living area with television with DVD. 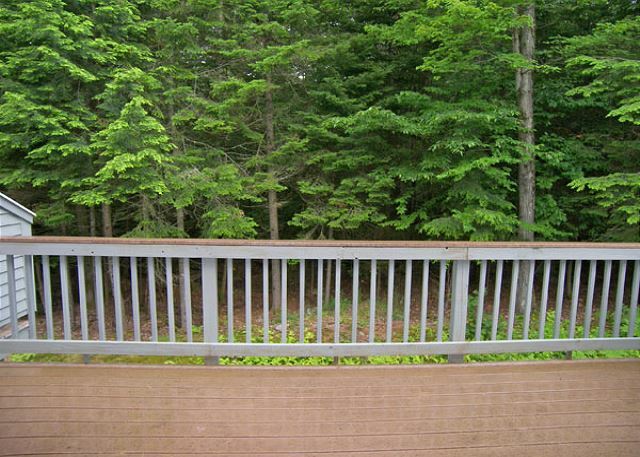 Also on this level is a three quarter bath and access to the spacious back deck with wooded view. 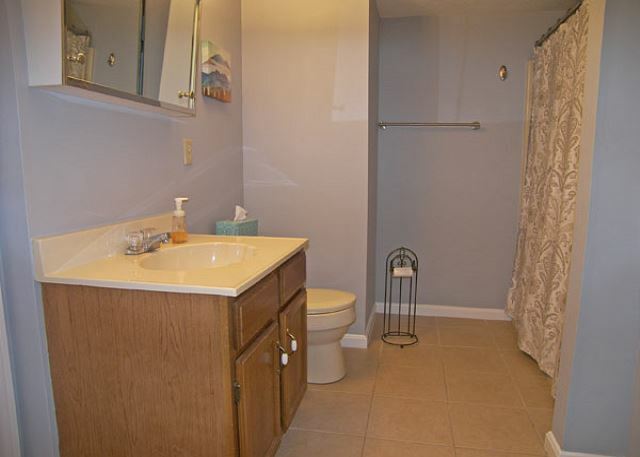 The second floor holds two bedrooms and a large full bath. 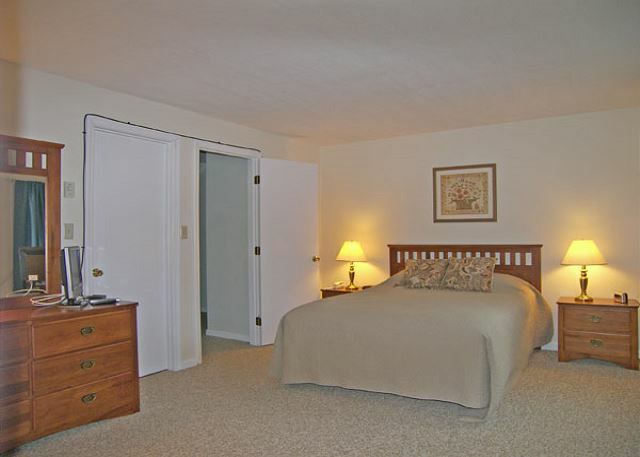 The master bedroom offers a queen bed, air conditioning and small television and the second bedroom also has a queen bed and air conditioning. 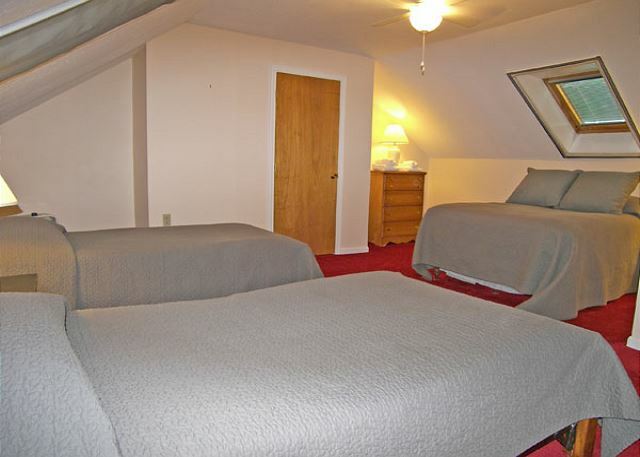 The third floor is the upper most level and offers a queen bed, two twin beds and a television with DVD and VHS. 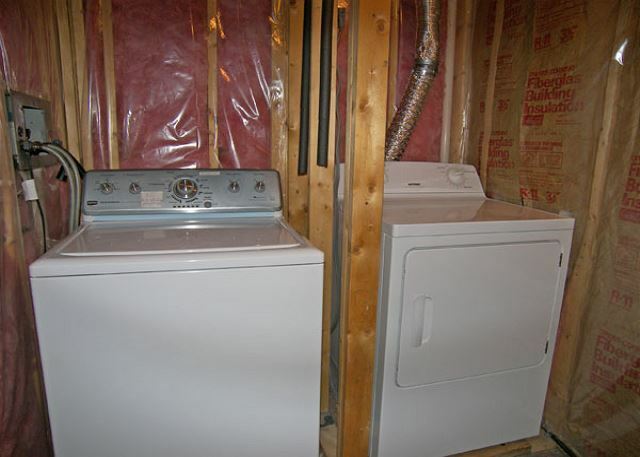 The washer and dryer are located in the basement level. 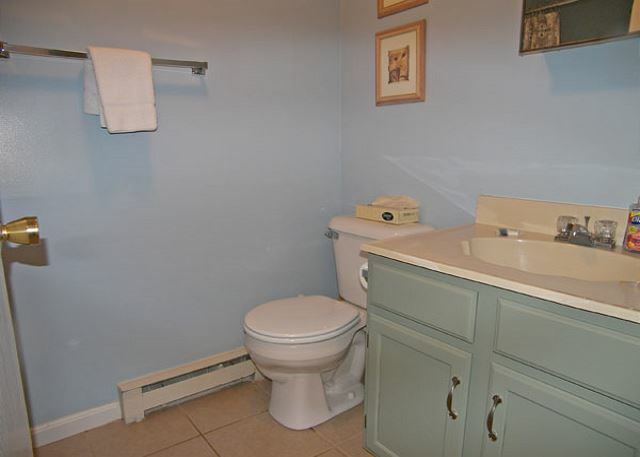 Jeffrey R from Greenland, NH does not recommend this vacation rental. The management company was very easy to deal with and the check in and check out process was easy as was the after hours key pick up. 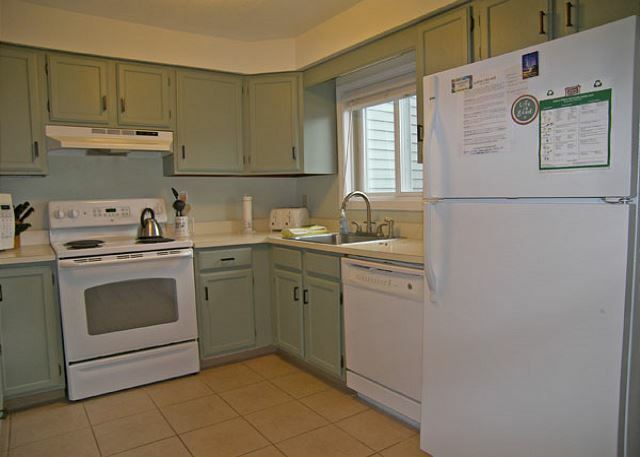 The unit, however, has some issues such as no working cable in the livingroom and the wifi worked (sort of) only in the kitchen and partly in the dining area (as well as the master bedroom). The downstairs shower had hot water only and running it at a trickle was the only way to make it bearable to use. Until these items are addressed, I would not recommend this unit. Still waiting on the 10% refund for the issues with the unit. Thank you for your patience with these issues. The owner is working with the association to correct the cable/internet issues. We'll double-check the hot water. We did, however, provide that credit on the 18th, to the card used to make the reservation. We had a wonderful stay, house was clean good condition the dead end was great for my grandchildren as they rode their bikes and played ball the only thing that was a little disturbing was the attic room we couldn't sleep there as it has no air condition the fans don't help much and we couldn't open the windows because they had no screens but overall it was a great vacation. Glad you enjoyed your stay! Turns out the screens were in the home, but still in a closet. Please let us know next time you have a small issue, and we'd be happy to fix it for you. Look forward to seeing you again! Very nice family gathering, had a wonderful time. Glad you had an awesome time! Great job Loon Reservation Service! Loon Reservation Service was very accommodating. Was unable to check in on time due to snowstorm, and the girls were very helpful in making sure I was able to get the key for the condo. We're glad that we could help! We're glad that you enjoyed your stay with us!